Welcome to the 2nd post (of many to come) about the best NYC Instagram spots! I love helping NYC dreamers discover some of New York’s greatest treasures, including the best spots to take pictures! I LOVE taking pictures in the city I love so much and I figured I would start sharing all my favorite Instagram spots so you can capture some of these amazing views and iconic places! All photos in this series are taken with my iphone 5S and I will share the exact location and directions so you can check it out too! See all the posts in this series here. 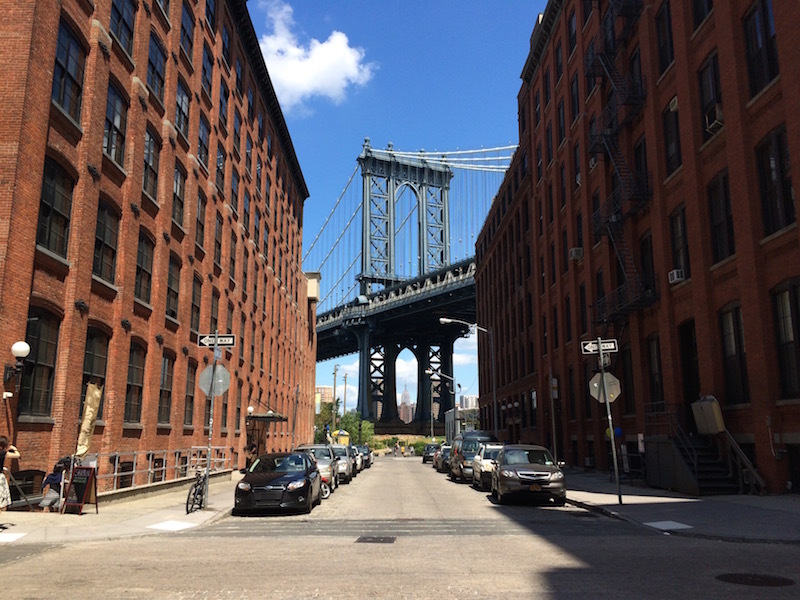 This week’s spot is in DUMBO, Brooklyn. Dumbo stands for: down under the Manhattan Bridge overpass. It’s a tiny neighborhood in Brooklyn on the waterfront that used to be made up of factories and warehouses, but has gone through a lot of changes in the last several decades and now condo’s sell in this neighborhood in for millions of dollars. 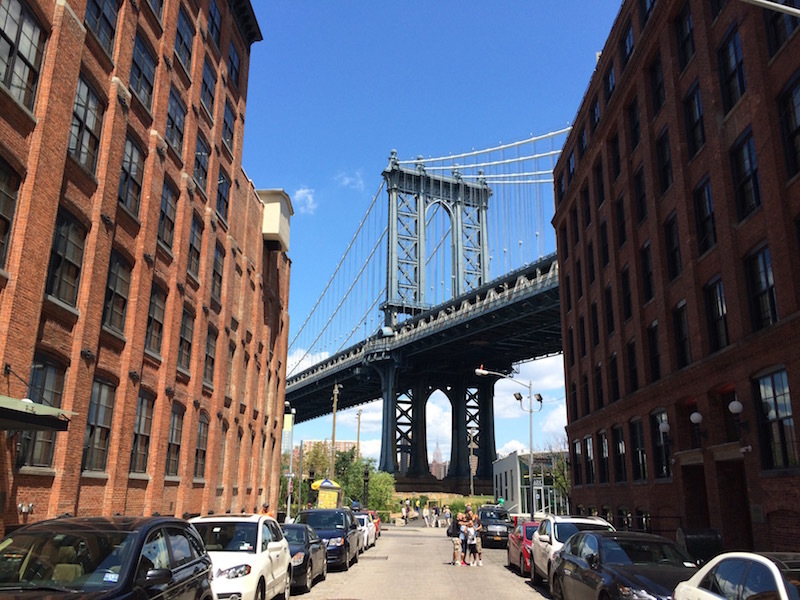 Dumbo is now filled with high end condos and apartment, restaurants, coffee shops, stores and businesses! Companies like Etsy have offices in Dumbo, and several famous names like Anne Hathaway have owned apartments here. 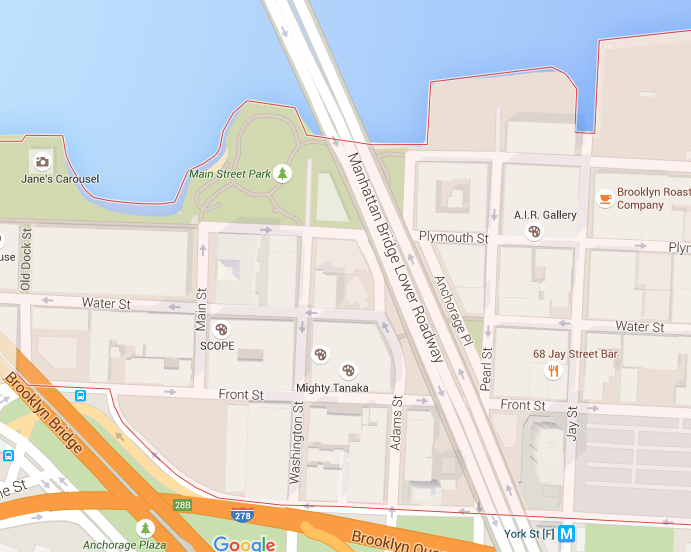 The specific location I’m recommending is Washington street, in Dumbo. 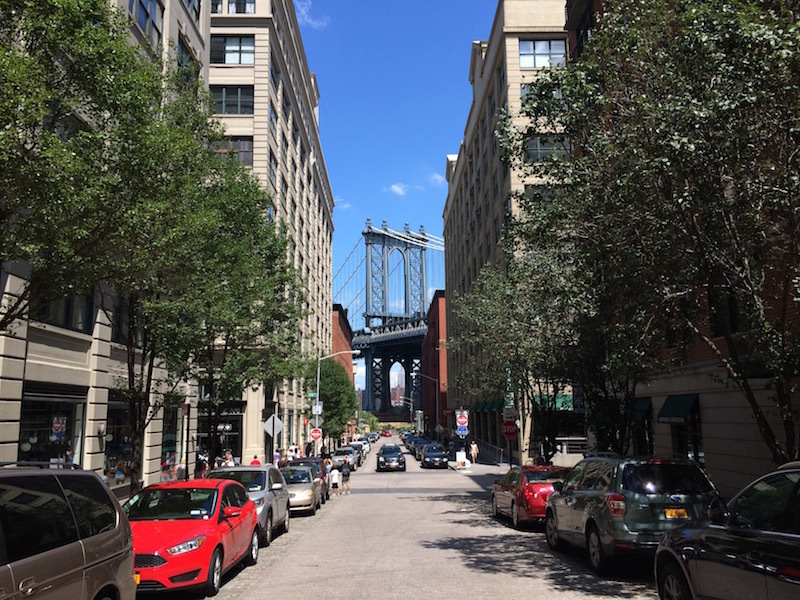 This street lines up beautifully with the Manhattan Bridge and gives you stunning views. The Empire State Building lines up perfectly below the bridge and can be seen underneath. I guarantee you will enjoy this spot not just for taking pictures, but it’s a really beautiful area to walk around, shop, eat, or just take in the scenery. Here’s a few more unedited iphone pictures from Washington Street. You can take the F train from Manhattan and get off at the Jay St. stop (look for the M is on the map-bottom right corner). Walk over to Washington Street, and as soon as you get to the street you will see the bridge! While you are in this area check out Brooklyn Bridge Park too! Be sure to follow us on Instagram AND if you check out any or our recommended spots, make sure you use the #newyorkcityinspired OR tag us in your photo so we can see NYC through your eyes!